The last month of the winter season brings blustery weather to Mvskoke lands, an annual turn as predictable in Indian Territory as it was in the old country. Today this is still the windiest part of the year in northern Alabama and Georgia, and anyone now living in eastern Oklahoma knows it’s the time of year when the wind starts to pick up. Hotvlē is cognate to the verb hotvletv, “to blow (of the wind)” or “to be breezy, windy.” It is also the more general word for “air” and appears in compound terms involving the movement of air, which suggests that Mvskoke people have always appreciated the dynamic nature of atmospheric conditions. For example, hotvlē-rakko—literally, “big wind”—can refer to a hurricane, tornado, or other storm characterized by violent gales. Curiously, Hotvlē-Hvse is one of only three months in cokv-walv Mvskoke whose name includes the word for “month.” Most Mvskoke speakers today take hvse to mean “sun,” but it probably had a broader meaning in the past. The Miccosukee language—one of our closest linguistic relatives—still uses haashe to refer to either the sun or the moon, adding a modifier to specify “day” or “night” luminary. The lunar cycle is the natural basis for months in the Mvskoke calendar, so the name for “Wind Month” preserves this older usage of hvse. Even more distinctively, Hotvlē-Hvse is the only Mvskoke month whose name corresponds to that of a Mvskoke clan. Hotvlkvlke designates the “Wind clan,” which figures prominently in a portion of the Mvskoke origin account. 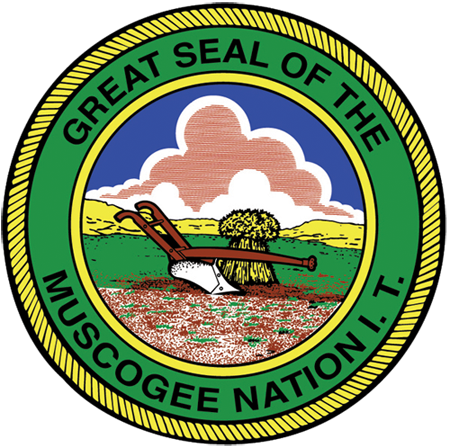 This story is nicely presented in English by “Este Mvskoke (The Muscogee People),” a documentary produced in 1983 by the Communications Department of the Muscogee (Creek) Nation. Then the people in each group “turned to one another” and vowed the loyalty of kinship. “They said that from then on these groups would be like large families. The members of each group would be as close to each other as brother and sister,” parent and child. “The group that was farthest east and first to see the sun praised the wind that had blown the fog away. They called themselves the Wind family, or Wind clan.” As the fog cleared, other groups named themselves after the first animal they saw: bear, deer, alligator, raccoon, bird, and more. Thus the various clans have come into being. Together they form the bedrock of Mvskoke civilization, organizing social relations in much the same way that cokv-walv Mvskoke illuminates the passage of time. And like the names of the Mvskoke months, the clan names symbolize the environmental consciousness of our indigenous forebears. It would be a tragic mistake to regard these totems as little more than team mascots. Fans of the Texas Longhorns, for example, don’t refrain from eating beef; in fact, they consume more cattle than most humans on the planet. And they don’t disavow marrying other Longhorns fanatics (though it might improve the gene pool if they did). Hotvlkvlke and the rest of the Mvskoke clans remind us of our fundamental kinship with the natural world, regulating how we interact with other-than-human persons—and with one another. Wind Month blows fresh air through Mvskoke country, bringing to mind the origin of clans and heralding a seasonal turn from dormancy to new growth.